Noricum is the Latin name for a Celtic kingdom that included most of modern Austria and part of Slovenia. 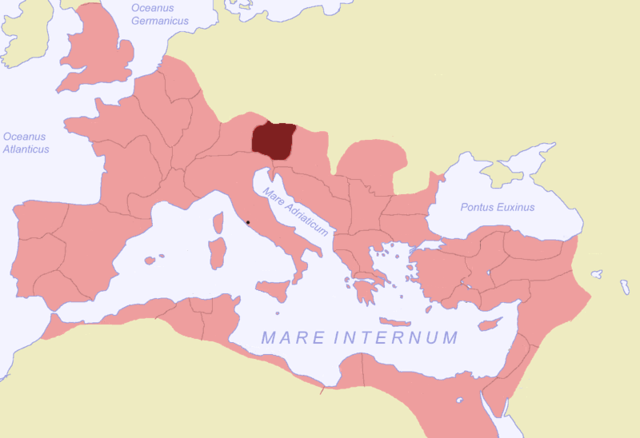 In the first century AD, it became a province of the Roman Empire. Its borders were the Danube to the north, Raetia to the west, Pannonia to the east and southeast, and Italia to the south. The Roman colonies and chief towns were Virunum, Teurnia, Flavia Solva, Celeia, Juvavum (Salzburg), Ovilava (Wels), and Lauriacum.